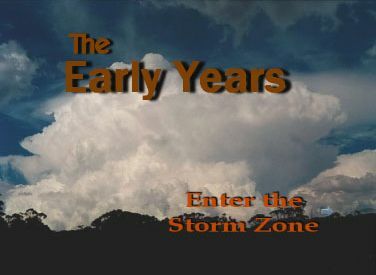 This collection of DVDs is one of the most comprehensive DVDs in Australia. 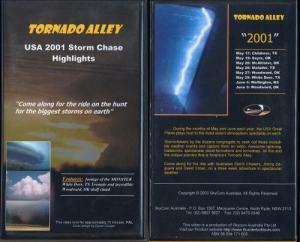 This storm DVD collection consists of storm and tornado footage from both Australia and Tornado Alley. 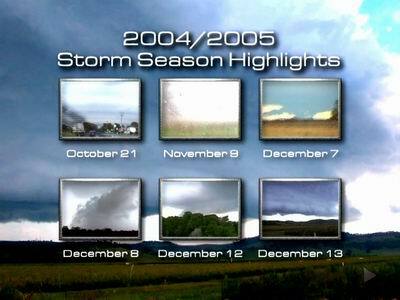 Since 1996, a variety of storm structures, lightning and severe storm footage have been collated and carefully edited into exciting sets. 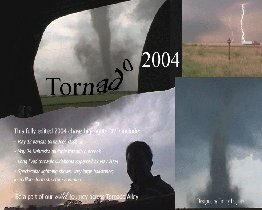 In all about 28 individual DVDs are available for purchase for only $10 per DVD. 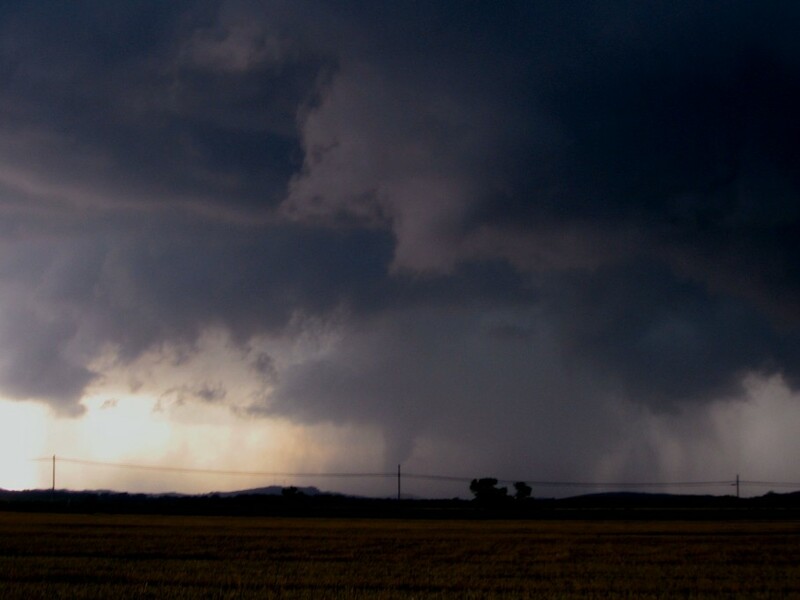 Sit back and enjoy back to back impressive structure, spectacular lightning shows, giant hailstones and tornado footage. 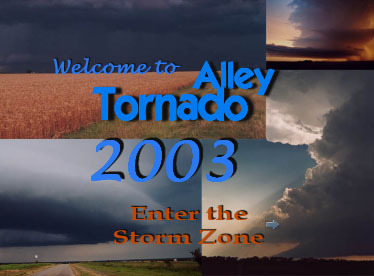 The latest release to our collection is:Tornado Alley 2005 2 DVD set. See more of the available DVDs below! 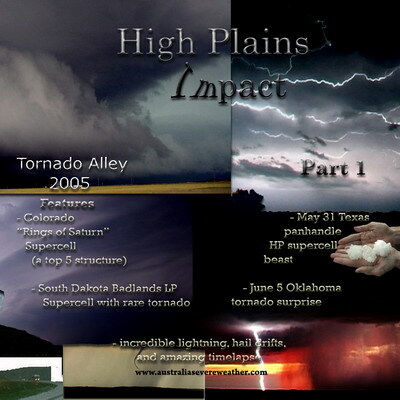 Tornado Alley “High Plains Impact” 2005 Set of 2 DVDs – Finally the “High Plains Impact” Tornado Alley 2005 DVD is the latest release of our growing Australian Severe Weather DVD collection. 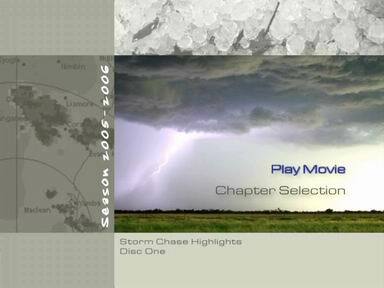 Appropriately titled, five Aussie chasers dissect the Mid-West high plains in search for atmospheric violence and the illusive tornado.In a difficult year for chasing, their journey takes them through the states of Texas, Oklahoma, Kansas, Nebraska and the High Plains of New Mexico, Colorado and South Dakota. 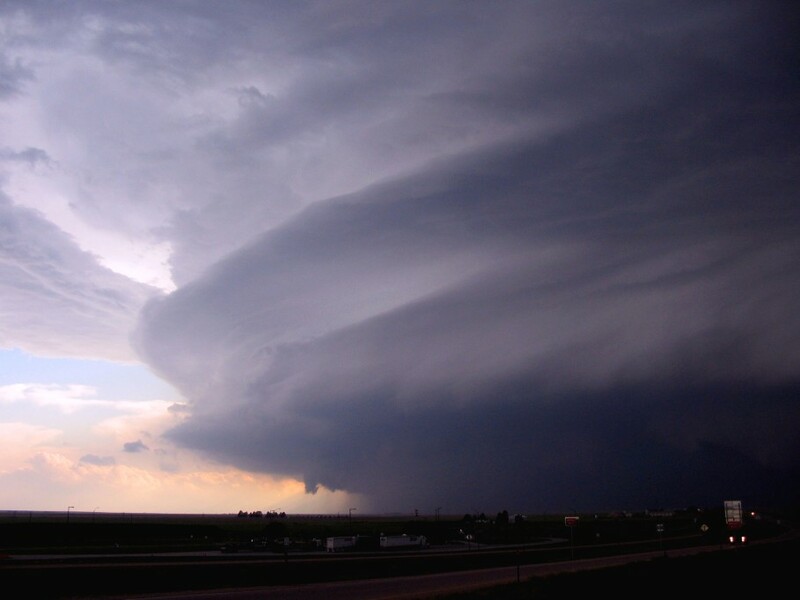 This puts them on a collision course with some supercell giants including the famous Colorado jaw-dropping “Rings of Saturn” striated structure, the slow moving explosive tornado producing supercell in Oklahoma and then the climax as the chasers venture way up towards the South Dakota Badlands to intercept the LP supercell that actually produces a tornado a day before their departure! 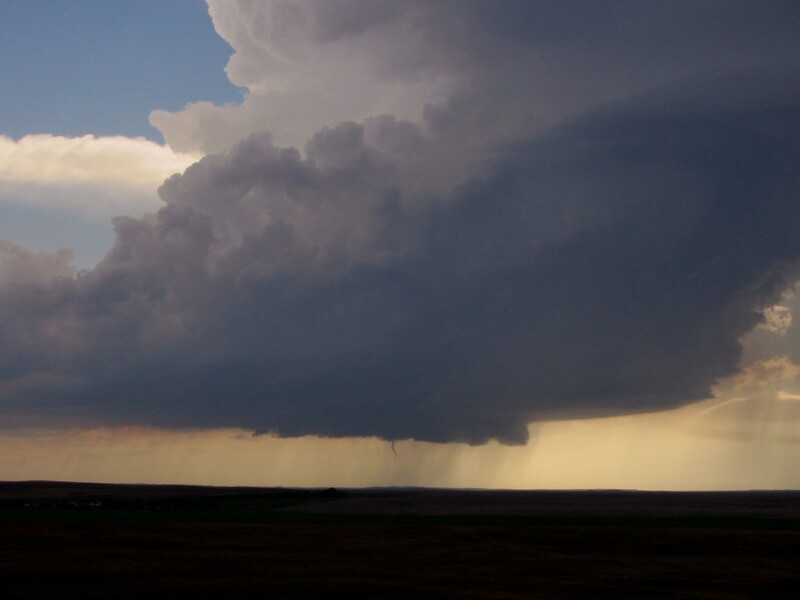 Enjoy the fun as the chasers experience spectacular lightning shows, hail drifts, a giant hail episode, and extensive time-lapse sequences easily illustrating the storm behaviour and rotation. 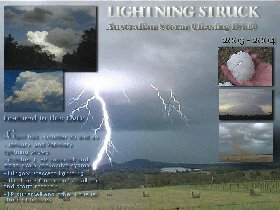 Due to popular demand, this DVD volume of 2 enhances the educational aspect of our collection for your enjoyment with annotations to keep novices and enthusiasts up to speed with chaser jargon and terminology referring to special storm features identified in the vision. 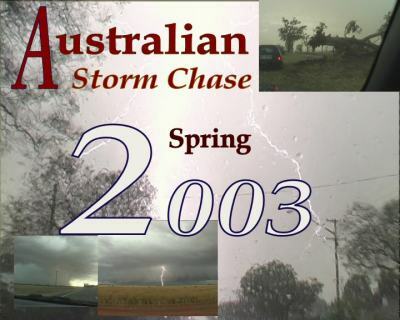 Professionally and carefully edited this volume puts you there with the chasers themselves through their frustrations and triumphs – perhaps the surprise inclusion of Aussie humour makes for an appropriate ending. 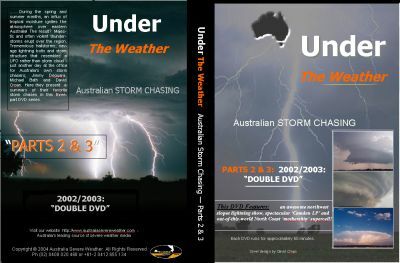 Set of 2 DVDs – featuring giant hail footage, awesome structure and spectacular lightning on the wild Australian countryside. 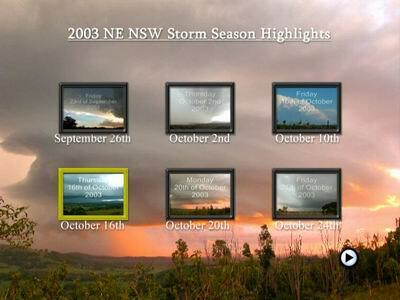 Set of 2 DVDs – showcasing the Northern Rivers action for the 2003/04 storm season. 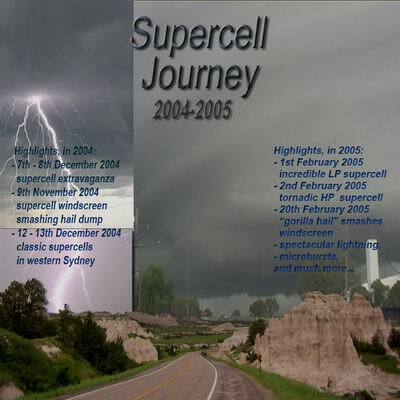 A number of supercells and hailstorms feature in the footage.